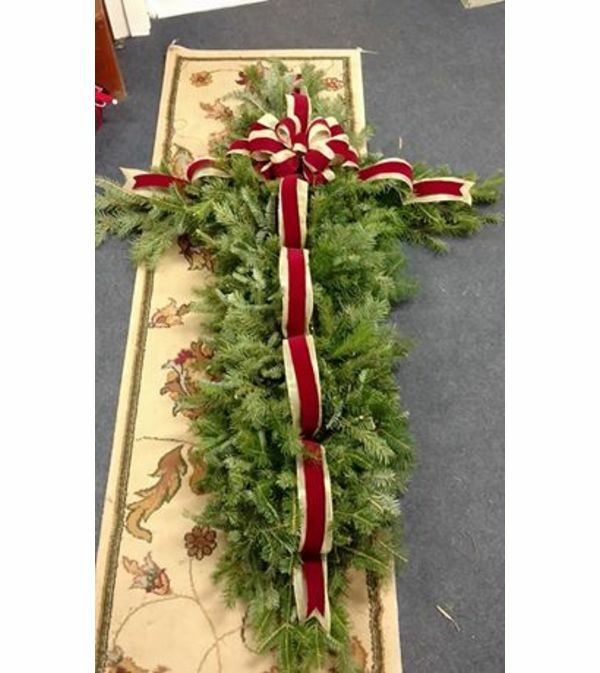 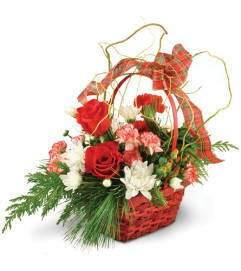 Grave Blanket made in the shape of a cross with a variety of lush evergreens, decorated with a beautiful bow. 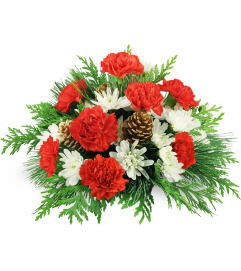 Pine cones, and other assorted items added on to the deluxe and premium. 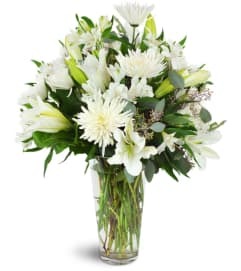 Approximate size 6 to 7 feel long and 4 feet wide. 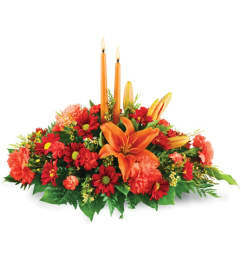 Free delivery to all cemeteries.